Juan Muñoz Oca picked his first grapes when he was 8-years old. Whereas most kids would have eaten them on the spot, Muñoz Oca inspected them to figure out if they were good enough to make wine. Raised in Mendoza, Argentina, Muñoz Oca got his early winemaking education from his grandfather, cellar master at Bodegas Toso winery. The older man instilled in him a love and respect for the process of growing grapes and turning them into wine. 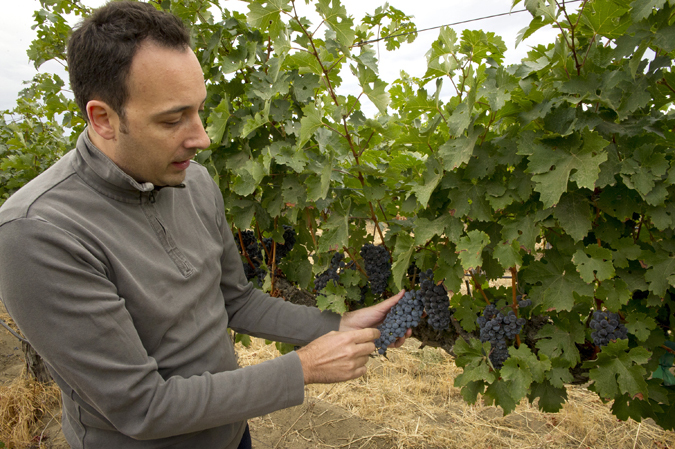 After graduating with honors from Argentina’s National University of Cuyo with dual degrees in agricultural engineering and winemaking, Muñoz Oca studied viticulture in Ribera del Duero, Spain and joined the winemaking team at Terrazas de los Andes, an Argentine premium winery owned by Chandon. In 2001, Muñoz Oca met the legendary Dr. Robert Wample, then a top viticulturalist at Washington State University. Wample convinced him to further his winemaking career in Washington. Muñoz Oca, intrigued by Washington’s ideal growing conditions, agreed to test his skill in the Great Northwest. 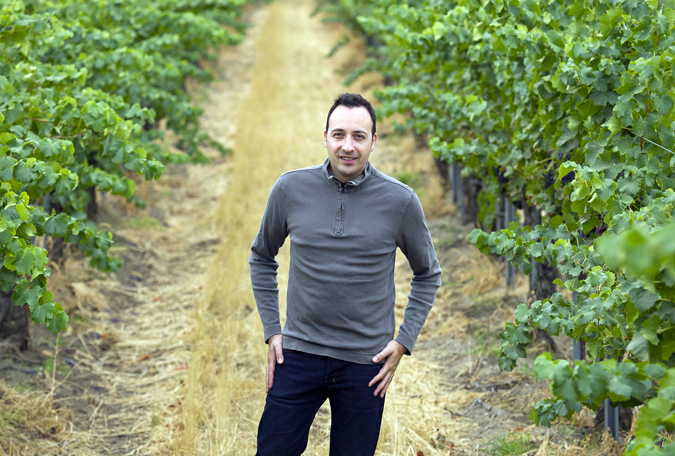 In 2003, he started working at Columbia Crest and in 2011, Muñoz Oca was named head winemaker responsible for producing the winery’s portfolio of Reserve, H3, and Grand Estates wines. Muñoz Oca talked to us about his role as head winemaker, Columbia Crest’s Crowdsourced Cabernet project, and some misconceptions about wine. Mocha Man Style: How did you become interested in winemaking? 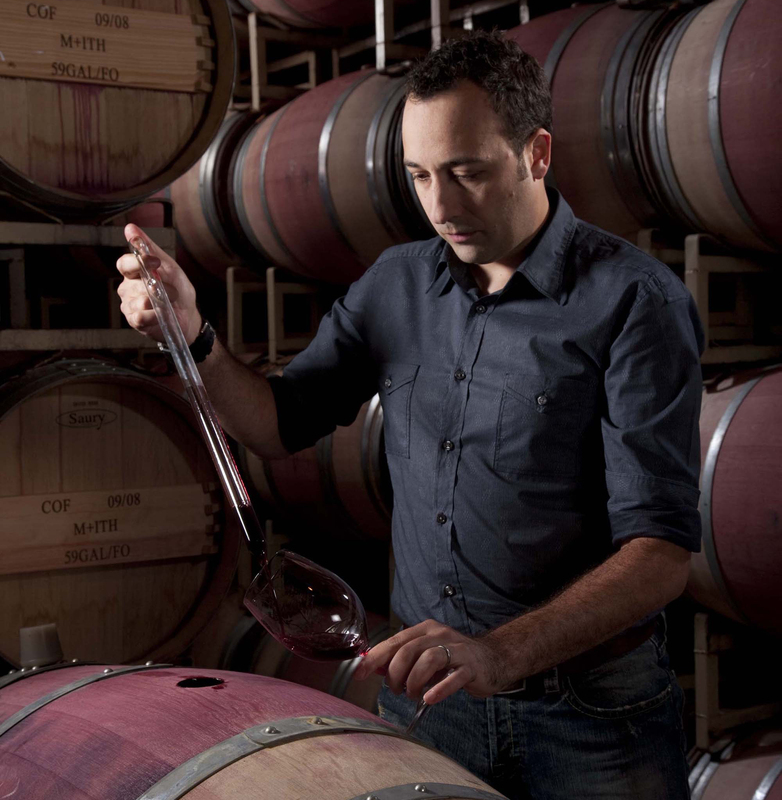 Juan Muñoz-Oca: I never even considered doing anything other than winemaking. I have felt connected to the vines from a young age. MMS: How do you incorporate your Spanish background into your wine? Juan Muñoz-Oca: Wine was part of every meal at home growing up and there is the respect for the hard work that goes into making wine. There is also the idea that what we make will enhance peoples experiences, meals, etc. I think we look at wine as a powerful tool of well-being, not as a simple beverage. 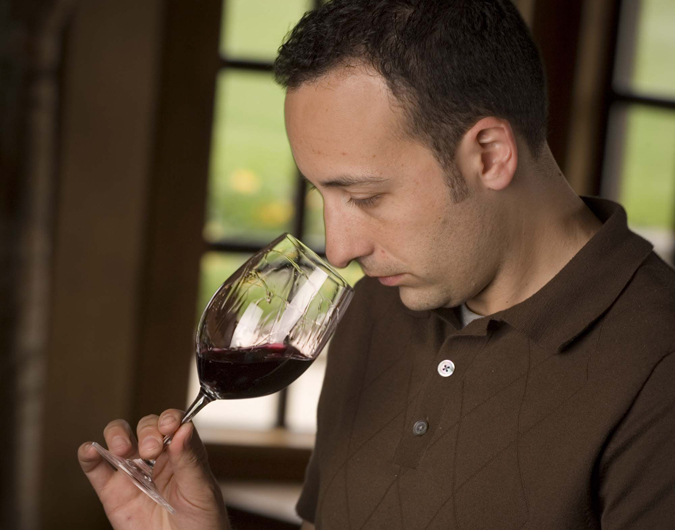 MMS: What are the biggest misconceptions people have about wine? Juan Muñoz-Oca: I think there are two: 1) The fact that a lot of people think that in order to enjoy wine you have to know a lot about it and that’s just not true, you can enjoy a glass of wine without even knowing how to pronounce the region’s name. 2) I don’t think you need to wait for special occasions to enjoy wine – it can be enjoyed on any occasion, meal, night after work, etc. MMS: Many people are intimidated when they go out to dinner and the waiter hands them a wine list. What do they need to know to select a good wine? Juan Muñoz-Oca: They need to know themselves and their palates, what they like (that’s why experimenting and trying different things is so important). Once you know how much you are willing to pay for a bottle and what types of wines you enjoy most, you can let the sommelier, or waiter/waitress guide you through the offerings on the list that fit your parameters. MMS: Does the type of glass you drink wine out of really make a difference? Juan Muñoz-Oca: I think it really does make a difference – it’s the way the wine hits your tongue and how it flows into your mouth that can affect your perception of the wine. Some of us don’t have the opportunity to buy specialized stemware, and if that’s the case I recommend pouring less wine into the glass to allow for movement of the wine in the glass (i.e., swirling it around) to open it up before taking a sip. MMS: What makes Washington a good place to make wine? Juan Muñoz-Oca: Washington State, on the east side of the Cascade mountains, has the perfect climate for wine growing. Sunny warm days, cooler nights, very little rain, the soils and overall conditions allow us to have a lot of control over how the vines grow (canopy architecture, cluster size). I also believe that because we have a cooler end of the ripening season, we get more balanced flavors and the wines are more elegant and sophisticated. MMS: What are the characteristics of the grapes that qualify for your Reserve program? Juan Muñoz-Oca: Grapes for our reserve program come from vineyard sites we’ve been farming for decades, places where the vine and the environment around them are in a perfect symbiosis. The selection process to become a reserve vineyard takes years, once you have decided a block of grapes is reserve quality, we treat the grapes extra carefully to protect the uniqueness throughout the winemaking process. MMS: What sets Columbia Crest wines apart from other brands? Juan Muñoz-Oca: I think is a few things. Definitively the place where we grow our grapes is the foundation of our quality offerings. There is also the passion that drives the winemaking team to make wines that will beat all expectations. Finally, the freedom to innovate and play with almost “avant-garde” winemaking techniques and vessels allows us to evolve as winemakers and deliver in every bottle a wine that’s surprising and unexpected. MMS: When you first heard about the Crowdsourced Cabernet project what were your initial thoughts? 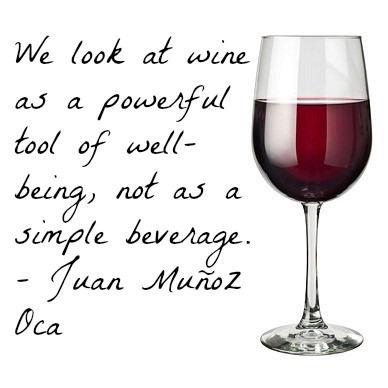 Juan Muñoz-Oca: It just made sense since our customers wanted to know more about the winemaking process. We want to educate people about what goes into growing grapes, making wine, and getting it to your glass. The Crowdsourced Cabernet program allows us to reveal what goes on in our vineyards and cellar and engage wine lovers in a new way. MMS: How involved are you in the project? MMS: At the end of the project, what do you want to have accomplished? Juan Muñoz-Oca: I hope to expose people to the wonders of growing grapes in Washington and witnessing our almost obsessive attention to detail. I want our virtual winemakers to be not only educated about Washington and Columbia Crest, but also amazed about our dedication and passion. MMS: Do you have any additional wine advice that you’d like to share with readers? Juan Muñoz-Oca: Be adventurous, be curious, be creative, be happy, and drink Columbia Crest while doing it! Disclosure: I am a Columbia Crest Crowdsourced Cabernet ambassador. All opinions are my own.